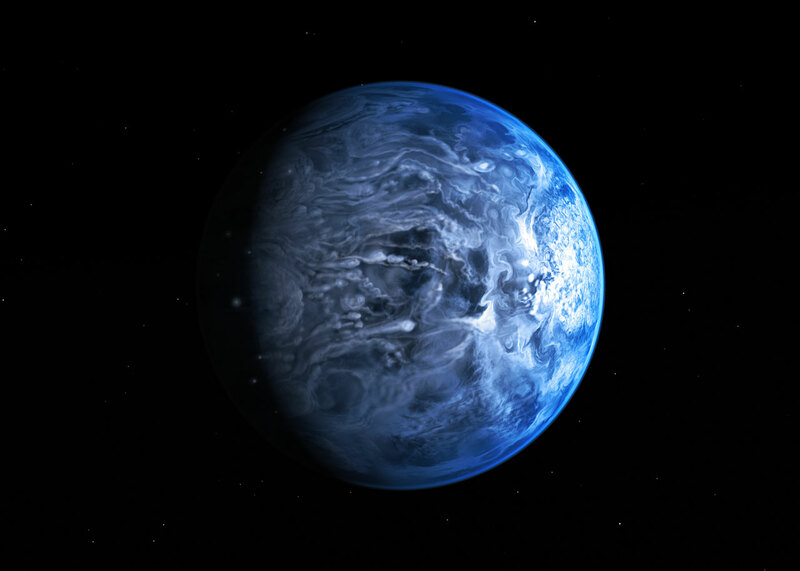 The discovery, announced last Thursday, was made by astronomers using the Hubble space telescope; observations of the planet HD 189733b, about 63 light-years away, revealed it to be a deep azure blue colour, similar to Earth seen from space. This planet, however, is nothing like ours. It is a gas giant, like Jupiter and Saturn, and orbits very close to its star. It’s atmosphere is scorching hot, about 1,000 ˚C (1,800 ˚F) or more, and is very turbulent – wind speeds are estimated to be a whopping 7,000 kilometres (4,350 miles) per hour! It is also thought that silicate glass particles rain sideways in those winds. It’s worth noting also that Neptune is a lovely blue colour, too, and Uranus is blue-green, but they are ice giants much larger and different from our own planet. Sometimes, initial appearances can be deceiving. 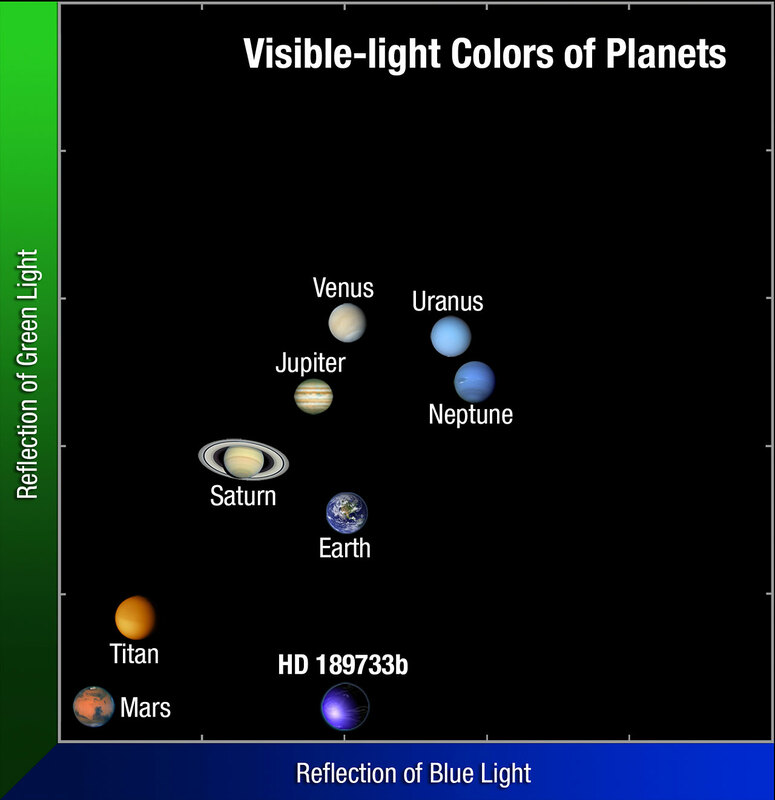 Comparison of the colours of some of the planets in our Solar System with HD 189733b. So if this planet isn’t very Earth-like, then where does the blue colour come from? It is thought to result from the silicate particles, which reflect blue light, suspended in the hazy atmosphere. Cool. At first glance, HD 189733b may look like a “deep blue dot” similar to the “pale blue dot” as Earth is sometimes affectionately called, but it is seemingly a very different and exotic world. 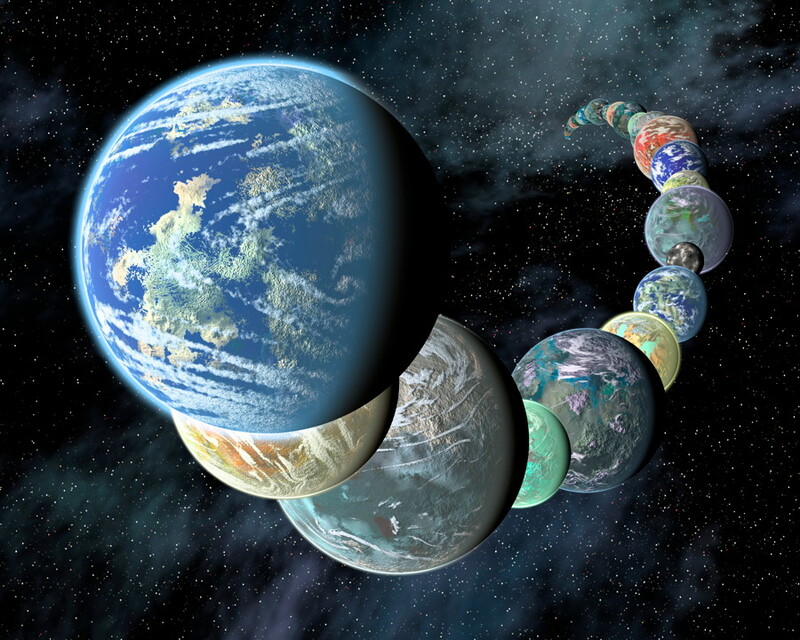 With thousands of other exoplanets now being discovered, how many other blue planets are out there? And are any of them really blue waterworlds like ours?